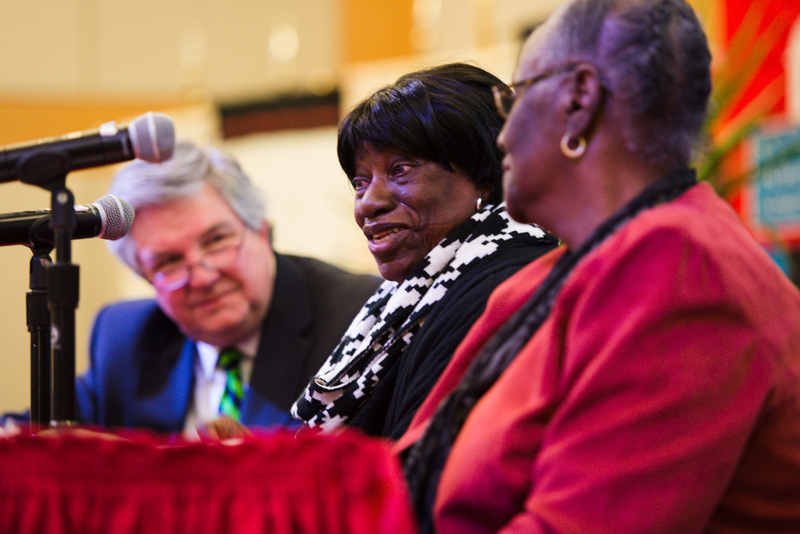 Deeply committed to history and historic preservation, Rebecca Campbell and Catherine Braxton shared their family’s history with the audience. According to their family’s oral history, their ancestors were brought from Barbados to the Carolina colony by the Draytons in the 1670s as enslaved people. From l-r: George McDaniel, Rebecca Campbell, and Catherine Braxton. Photo by Fred Stucker, courtesy of Curating Black America: the 35th annual Marion Thompson Wright Lecture Series, Rutgers University-Newark. “Too often history seems to be taught as something far away, but with historic sites, history is up close and personal, its presence can be felt,” said George McDaniel in his presentation. 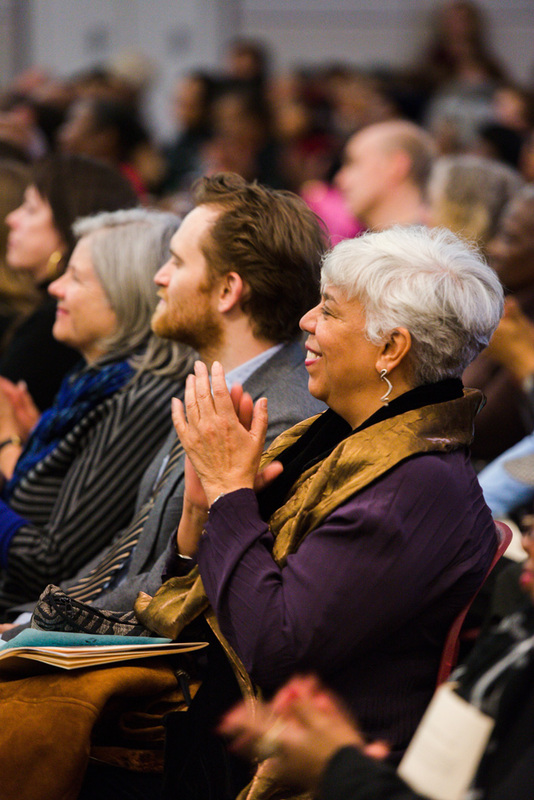 “At historic sites, we can also try to make history real to people, to make them care, so they feel more connected to themselves and to the wider humanity we share with one another.” Photo by Fred Stucker, courtesy of Curating Black America: the 35th annual Marion Thompson Wright Lecture Series, Rutgers University-Newark. 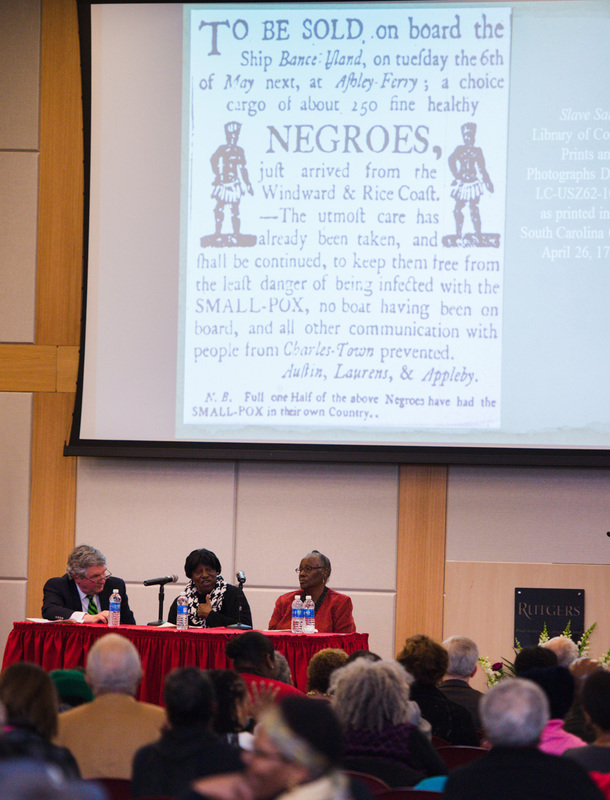 “[George, Catherine, and Rebecca] provided such an in-depth exploration of southern plantation life at Drayton Hall that was riveting and remarkable for its personal ancestral perspectives by Rebecca and Catherine,” said Marisa Pierson, Senior Program Coordinator of the Institute on Ethnicity, Culture, and the Modern Experience at Rutgers University-Newark. “It was one of the most memorable presentations I have witnessed in all the years the institute has been mounting this prestigious program.” Shown above: Catherine Braxton. Photo by Fred Stucker, courtesy of Curating Black America: the 35th annual Marion Thompson Wright Lecture Series, Rutgers University-Newark. 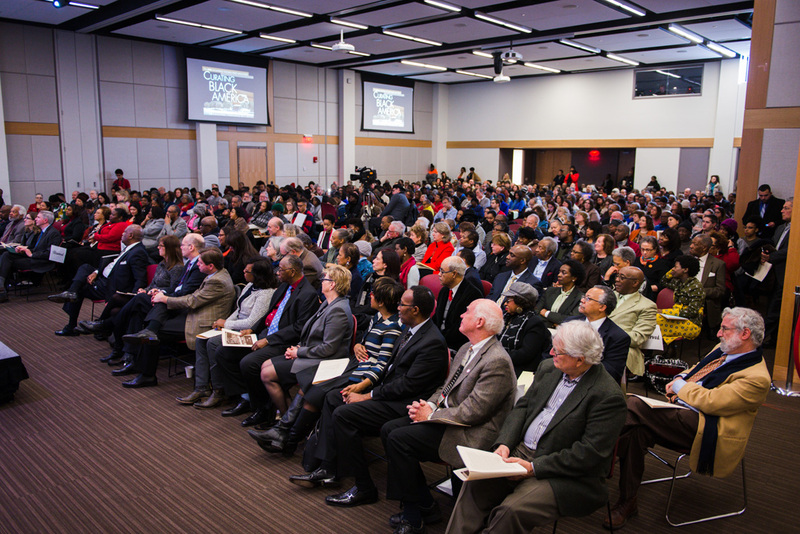 Over 800 people attended the 35th Marion Thompson Wright Lecture Series at Rutgers University-Newark. Photo by Fred Stucker, courtesy of Curating Black America: the 35th annual Marion Thompson Wright Lecture Series, Rutgers University-Newark. Rebecca Campbell speaks to the audience about her family’s connection to Drayton Hall. 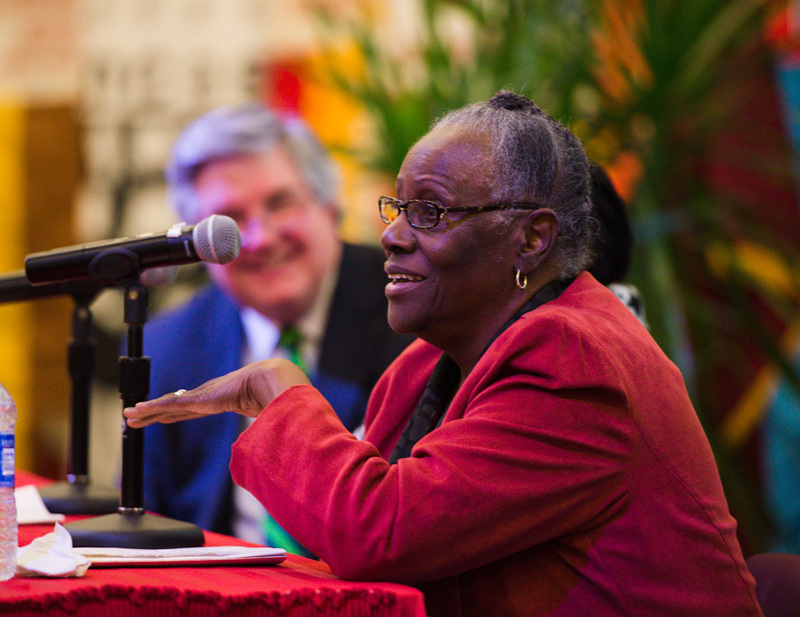 Photo by Fred Stucker, courtesy of Curating Black America: the 35th annual Marion Thompson Wright Lecture Series, Rutgers University-Newark. 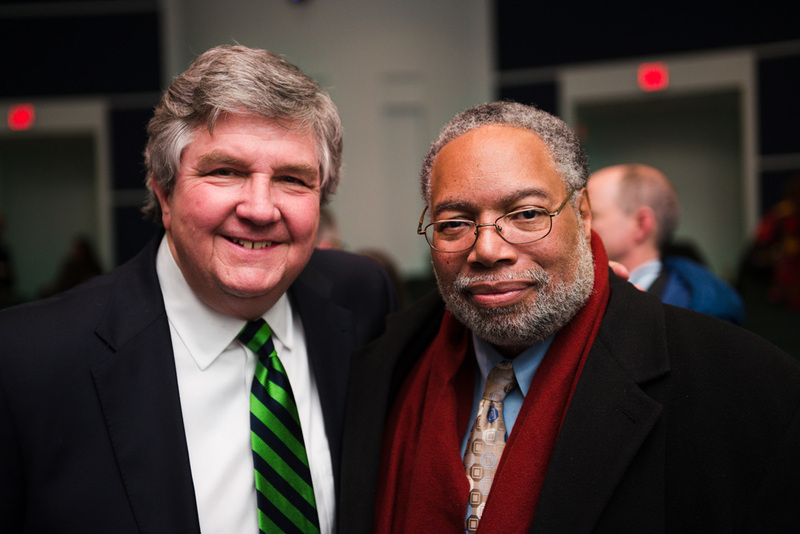 George McDaniel with fellow presenter Lonnie Bunch, inaugural director of the National Museum of African American History and Culture and former Drayton Hall Site Advisory Council member. Photo by Fred Stucker, courtesy of Curating Black America: the 35th annual Marion Thompson Wright Lecture Series, Rutgers University-Newark. 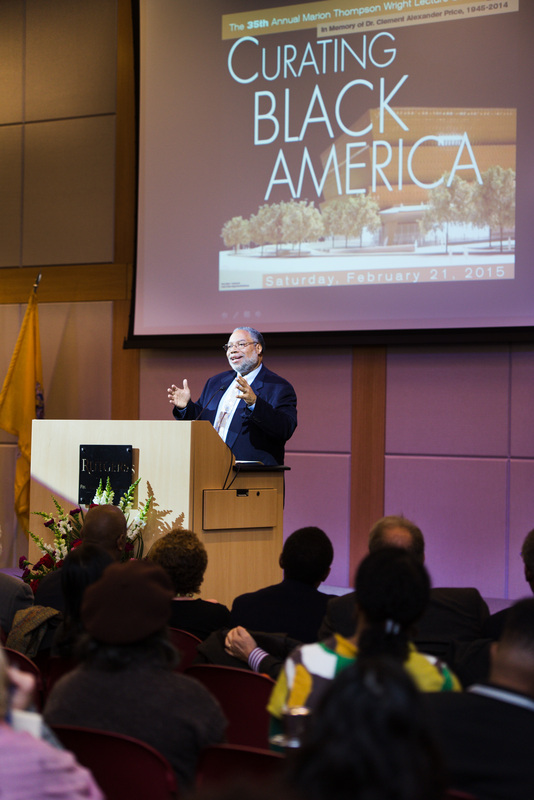 Lonnie Bunch was named the 2015 Marion Thompson Wright Lecturer. Photo by Fred Stucker, courtesy of Curating Black America: the 35th annual Marion Thompson Wright Lecture Series, Rutgers University-Newark, courtesy of Curating Black America: the 35th annual Marion Thompson Wright Lecture Series, Rutgers University-Newark. 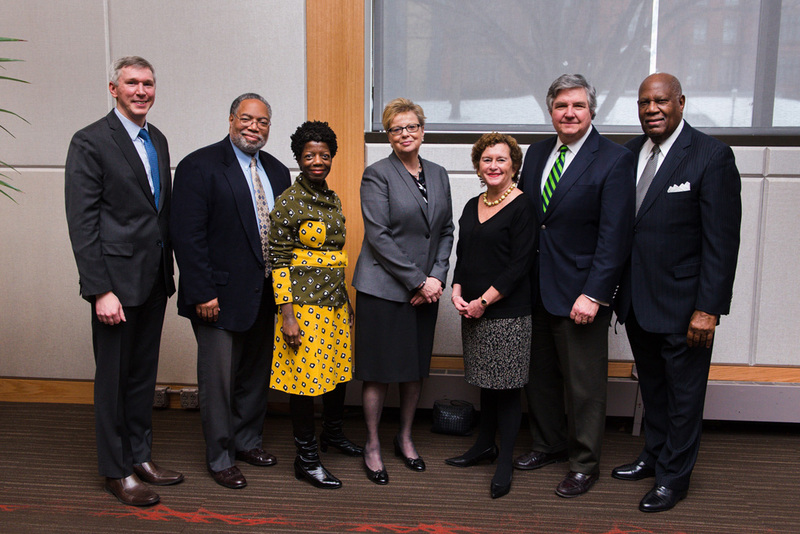 From l-r: Mark Krasovic, Assistant Professor of History and American Studies and Associate Director of the Clement A Price Institute on Ethnicity, Culture, and the Modern Experience at Rutgers University-Newark; Lonnie Bunch; Thelma Golden, Director and Chief Curator of The Studio Museum in Harlem; Mary Sue Price; Nancy Cantor, Chancellor of Rutgers University–Newark; George McDaniel; and Robert Stanton, former director of the National Park Service. Photo by Fred Stucker, courtesy of Curating Black America: the 35th annual Marion Thompson Wright Lecture Series, Rutgers University-Newark. The audience applauds Drayton Hall’s presentation. Photo by Fred Stucker, courtesy of Curating Black America: the 35th annual Marion Thompson Wright Lecture Series, Rutgers University-Newark. 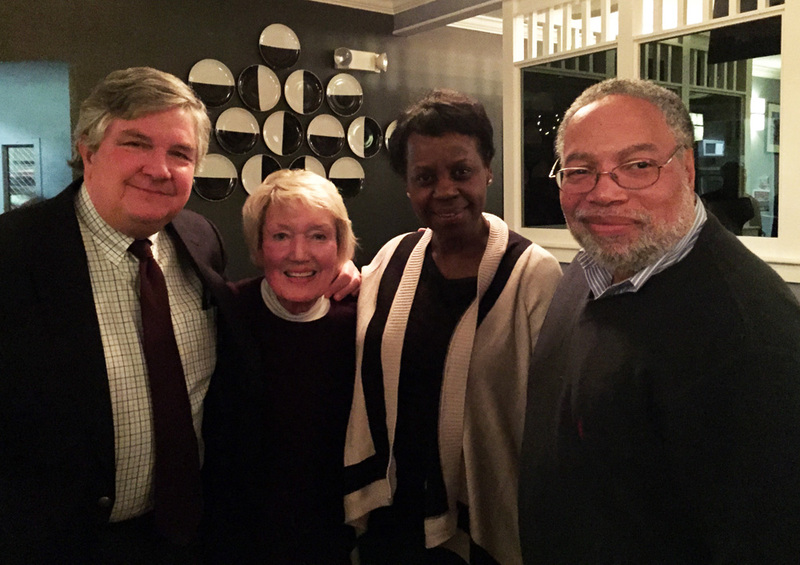 From l-r: George McDaniel, Mary Sue McDaniel, Maria Bunch, and Lonnie Bunch. 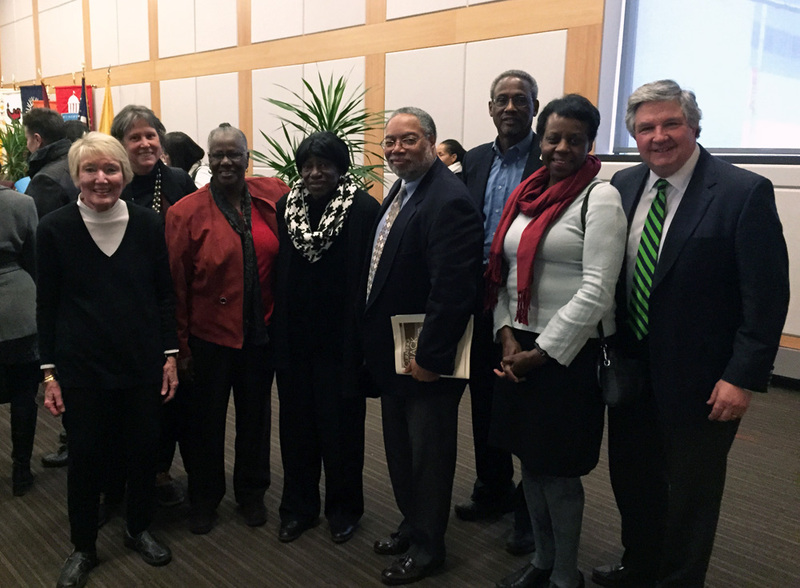 From l-r: Mary Sue McDaniel, Allison Rea, Catherine Braxton, Rebecca Campbell, Lonnie Bunch, Spencer Crew, Maria Bunch, and George McDaniel. The goal of Drayton Hall’s presentation was to enrich the human connection to historic places, objects, and images of Drayton Hall by asking descendants to share their thoughts. Since these descendants did not grow up at Drayton hall, they do not have first-hand accounts, but the places, objects, and documents that were shown resonated deeply with them, and personal reflections connected with the audience, as shown by the photographs. This was the first time that descendants from a historic site had participated in the MTW lecture series, and the audience consisting of historians, museum professionals, and lay people, responded very positively. UPDATE: A video of this presentation is now available online.